Proverbs are often defined as “short expressions of popular wisdom.” How many do you know, and are they a part of your everyday vocabulary? 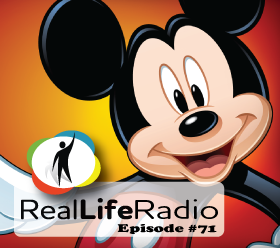 In this episode of RealLife TV you are going to learn lots of new proverbs that are commonly used in amongst native speakers, discover why Mickey Mouse and Sponge Bob have been bad cartoon characters, and discover the difference between strange, weird, and other similar words. Aww Yeah! !